Grammy® Award-winning rock band Muse performed their new single "Dig Down" last night on The Late Show with Stephen Colbert on CBS. "Dig Down" is available to stream and download HERE. 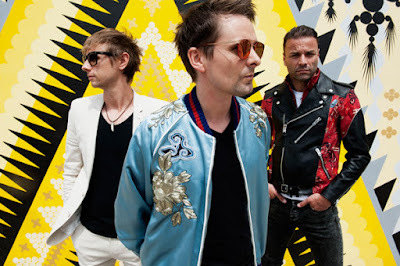 Muse will perform a special concert on July 24 at City Parks Foundation's SummerStage in Central Park to benefit The Coalition for the Homeless.